1. Please give us a brief history that includes when and why you started playing music and few key career milestones you are most proud of. 2. County Pop is about music, musicians and musical possibilities. Can you give us any details on your songwriting process that might inspire young musicians? No two songs are ever really written the same in our band. Sometimes they are freshly created in rehearsals, and sometimes one of us has a nearly finished idea that the others help to complete. I'm not sure what advice to give other than to not be "too precious" about your own ideas and to listen to collaborators. 3. Even though we live in an era of downloads, streaming and social media, we believe touring and playing outside of your hometown is more important than ever to help artists and musicians grow. What is your view on touring? Touring is how we live. It's literally our main source of income. Luckily we really love doing it. We've been lucky enough to play all over the world in all kinds of different locations. We actually have the most fun and get the best crowds in the "smaller" markets. There's an enthusiasm in out of the way places that make shows so much more unique. We're at the point now where we want to play every last place there is to go in this country! 4. Can you tell us a few albums you are listening to these days? Big fans of Shovels and Rope (all their stuff). The Hamilton Leithauser from the Walkmen solo record is incredible. To be honest, we're in the middle of recording so we've been listening to ourselves to death. 5.  What is your history with Prince Edward County and what you are most looking forward to about County Pop 2018? The first I ever really heard about PEC was Buddha Dog ( a restaurant on Roncesvalles in Toronto) whose products were all source from Prince Edward County. In recent years, we've discovered that a lot of musical friends and Toronto Entrepreneurs have found a new home in the area. We've been up to The Hayloft a couple times and it's always been great. Personally any reason to get out of the city is good enough for me, so I really looking to getting up there for the weekend. Really excited to get to play in that beautiful building as well. was my first real love. Some milestones I'm most proud of is living off of my music for nearly 15 years and playing a show with The Tragically Hip in Bobcaygeon in 2011 (it was actually my first Hip concert and I got to watch most of it side-stage). capture ideas using the 'voice memo' app on my phone. It helps collect my music or lyric thoughts as they come to me. I am forever enjoying Carole King's 'Tapestry'. It's been one of my favourite albums since I was about nine. I'm also really digging Peter Elkas' new EP 'Lion'. I'm the eighth generation of my family born in Prince Edward County. Many of my ancestors worked on barley boat schooners and many farmed. I'm strongly drawn to the lake and I am a rural girl for life. Even living outside of The County, I'm on the water and only a 30min drive to the ferry to get back home. I feel my connection to PEC always has been and continues to be very strong. I started playing music at 13 years old with my friends Rob and Ian. Playing music was for social reasons so I asked my dad to teach me the basics of guitar so I could start a band with these guys. After a few incarnations we went on to form Thrush Hermit and had a good run before we broke up in 1999. We toured extensively through Canada and the States and had a small but dedicated fan base. Write a lot. Don't edit yourself in moment but edit things later. I try to let my mind wander and let ideas flow, by get hung up on whether it's working right away. I also think it's interesting to experiment with chord substitution by singing the same melody over different chords to see how it changes the feeling. I think lyrical meter is also often overlooked. Good meter combined with good melody and words is what makes things really catchy. 3. Even though we live in an era of downloads, streaming and social media, we believe touring and playing outside of your hometown is more important than ever to help artists and musicians grow. What is your view on touring in 2016? Touring is my livelihood. The stage is where the songs come to life and where the exchange of energy happens. I'm lucky to have an audience and even though I get exhausted by the road I always look forward to my time on stage. I love that my audience is people of all ages. An old Bert Jansch sampler on Transatlantic, Laura Marling, Skip James and Mississippi John Hurt radio broadcast, and some Allan Toussaint. 5. What is your history with Prince Edward County and what you are most looking forward to about County Pop 2017? I had a stellar show at the theatre in Picton about a year ago. It's a Beautiful part of the world. I love that it's a family event and it seems fitting that my Dad will be with with me. I've always loved music, since I was a kid. Two very influential women in my family were/are musicians. I guess I'm most proud of being able to drive from Toronto to Winnipeg without really blinking an eye. Touring Canada will do that to you. 2. County Pop is about music, musicians, and musical possibilities. Can you give us any details on your songwriting process that might inspire young musicians? I don't have a particular process or set of steps I adhere to, but lately I've been doing a lot of co-writing with other people, I would highly suggest that to young musicians looking to improve their songwriting. 3. Even though we live in an era of downloads, streaming and social media, we believe touring and playing outside of your hometown is more important than ever to help artists and musicians grow. What is your view on touring in 2017? It's so important to play outside your hometown. My view on touring is that you have to get out there and play to no one before anyone will want to come and see you. You have to work hard and put in the time. I'm loving Warren Zevon right now, and also this old Kingsmen record I have. They wrote Louie Louie. So good! I don't have any history with Prince Edward County but I'm definitely looking forward to making some new pals and seeing some great music! In our early 20's my brother and I traveled through Mexico playing as much guitar as we could and writing songs that became the basis for our garage rock band The Mugworts that we formed back in Kingston during a golden era of local bands. Lw & the Wrongs formed in the late '90's as a side project of the pop rock band Weeping Tile I had joined as lead guitarist. We wanted to record and explore the country-roots songs I'd inexplicably been writing and by 2000 we had made two albums of original music and were working on our third which was a country reworking of Pink Floyd's "The Wall". That went well. Next thing we had record deals, gigs all over North America, a fairly new van, a killer pedal steel guitar player and more friends than we had time to visit. The band line-up has shifted over the years but we still represent the original ethos of free-wheeling, honkytonk punkgrass. Creativity strikes the bell at the strangest times for sure so I try to keep an open mind and let myself be distracted when it feels right. Not while driving however. Maybe sometimes, but I pull over to sing into the phone. Writing down catchy phrases is a good idea, even if they're not your own. My neighbour Barb speaks in a flourishy fashion and I've stolen a few good ones from her. Once you have a bunch of good blurbs down fetch your instrument and sing them out loud to whatever chords come to mind. Maybe there's a gem in there that you can flush out into a song. That's about as disciplined as I get. Sometimes the songs just come like a surprise guest you've set a place for at the table without knowing why. I agree that live music is better and for us the live show is where the magical interactions are heightened in part due to playing for an audience. Touring these days in Canada and the U.S. seems harder as there are fewer live music venues not to mention that cover charges for the most part have not changed in 25 years. So the economics of touring are difficult but not insurmountable if you're creative about it. Collaborating with other bands, presenting your own shows, having a trust fund or a patron can grease the wheels but if you know you are good at what you propose to do then nothing can stop you anyway. Except yourself maybe, if you allow that kind of behaviour. I grew up on the other side of the Glenora Ferry by the county and spent a lot of quality time romping around the sand dunes, going to the drive-in and having a crush on a Picton girl named Susan.  It's been fantastic to watch the county transform culturally and see music events like the Sandbanks festival and Country Pop take hold, not to mention the many vinyards, the music venues like The Acoustic Grill, the Hayloft as well as local brewery's with a flair for music like the Parsons Brewing Company. We're jazzed to perform at the legendary Crystal Palace for County Pop 2017. It is a one of a kind building in North America. Built in 1887 it's an exact, scaled down replica of the original Crystal Palace built in London to house the Great Exhibition of 1851. How cool is that? And of course I'm a big Joel Plaskett fan having been a Thrush Hermit fan back in the day and I can't wait to see he and his dad Bill play. The whole line up is excellent and we couldn't be happier to participate. I started out by teaching myself multi track recording and creating sort of abstract soundscapes. This led, in a sort of roundabout fashion, to songwriting itself, and I started writing very simple music. I put out a couple records, and on the last record in particular, started touring heavily in Europe, the US, and even Australia and Japan. People tend to have this narrow idea as to what emotions can ideas that can be expressed in a pop song. Which is ridiculous. You can write a song about anything. If you’re alone in your room and there is nothing in your mind to write about, start by describing the colour and texture of the wallpaper and follow the thread till it yields. Unfortunately, or fortunately, you can’t be just a recording artist anymore. Touring is essential. While I personally love touring, it can be hard on a lot of musicians, financially and emotionally. But it is the only way to build a better live show, especially when starting out, to get out of your comfort zone and play in different contexts, and fail, and figure out how to play anywhere for anyone anytime and be able to stand your ground. I’m really psyched on the new Daniel Romano record coming out this May. He’s making some of the most interesting music anybody is making right now. I really loved the Weyes Blood record that came out last fall. Beautiful songwriting, unreal melodies. Really really good. We’ve also been into this Joe Meek compilation lately. Really unusual stuff from the late 50’s early 60’s. I played a beautiful church in Cherry Valley last year and it was a magical experience. Looking forward to coming back, now that it’s springtime, and enjoying some long hikes. We formed Moon Sugar while recording our first ep in spring of 2016. We were all members of different bands but decided we have way too much fun to notplay together. We are in the process of recording our second ep which should be ready for summer 2017. 2. Can you tell us a few albums you are listening to these days? We listen to a wide variety of music, from folk to top 40, but current CDs in rotationinclude Tom Petty, Dave Rawlings and Nine Inch Nails. 3. What is your history with Prince Edward County and what you are most looking forward to about County Pop 2017? It's always great to be in PEC. We love the people, and the scenery, and we love the sense of community, but what we enjoy the most is the home town vibe. I started playing the bars in my hometown (St Catharines) when I was 17 doing covers, and began writing when I was 21 and moved to Toronto in 87 to try and make it in music. I made a demo cassette called Grand Opera Lane in 91 produced by Bob Wiseman which got turned down by everybody in Canada, until I got signed in LA to Interscope records in 93. My first album came out in 95, and my latest Carousel One is my 14th record. Some career highlights include headlining Massey Hall and Royal Albert Hall. Basically, I just work it at it everyday, as a kid I was obsessed with songs and I was fortunate enough to grow upat a very melodic period in music and so I've tried to uphold that tradition. Also, I have a YOUTUBE channel where I've done over 200 covers which I think is important to learn songs as well because it's a wealth of information. 3. Even though we live in a era of downloads, streaming and social media, we believe touring and playing outside of your hometown is more important than ever to help artists and musicians grow. What is your view on touring in 2016? Well, it's become more important to tour but also, it's become more and cost prohibitive. So, sometimes I'm not sure how much longer I'll be able to keep doing it. Gaz Coombs "Matador" and mostly older records, although Paul Simon's "Hearts And Bones" is great. 5. What is your history with Prince Edward County and what you are most looking forward to about County Pop 2016? I'm looking forward to playing Picton, unfortunately I don't have much history being there. I began playing music in my teens. I wasn't striving for anything special--I just wanted to meet girls, so I thought I should better learn how to play the guitar. Pretty soon, I began writing my own songs and felt a deeper connection with the words and music. Since then, I've won a Juno Award and trekked across this country with my guitar many times, playing songs for anyone who will listen. I think it's a pretty special life. I think it's important to address any idea that comes to mind. After a while, songwriting becomes work and one's songwriting standards grow, but it's always a good thing to pay attention to any creative detail that enters your mind. Some ideas work, some don't, and that's ok. I think touring is extremely important. It's important to get outside of your pond and play elsewhere. It builds thick skin, and thick skin is key if you want a life in music. I spent my summers camping in Adolphustown, and after many years I'm proud to now call Wellington my home. I'm looking forward to sharing some of my tunes with the good people at County Pop this year. I hope it's the first of many such occasions. I started playing music when I was 14 and I had hopes of being popular. This did not work out, but I very quickly discovered the powerful spiritual and social aspects of music, and have never stopped playing. I am proud to have played drums around the globe with Ron Sexsmith for 20 years, and also with Rheostatics, Feist, Tanya Tagaq, and many other wonderful people who are not famous. I am 52 years old and am just releasing my first album this year. I've always been a good helper for other people's projects, and I've never felt resentment toward these creative people I've worked with. I have always been listening and learning. I feel strongly about writing important, meaningful songs. And to resist falling into boring musical traps, I write the melody and lyrics first, with no chord structure to potentially take the songs to predictable places. It is best to let the feeling drive the song, through lyrics and melody, and rhythm. Chords will follow, and the songs will be more fresh and unpredictable if the melody is allowed to control where it all goes. I love touring, I believe artists have to be innovative and entertaining. You can't wait around for a big break, you have to be playing a lot to get good at playing, and to find your audience. That being said, it is important to make sure if you're traveling to play, that there will be an audience where you are going, so you don't just waste time and fuel to go somewhere new. I love playing clubs with no cover charge, where bands have to win the audience over, and then you pass a jug around and people give you a fair amount, which may have dissuaded them from going to a club that charges a cover, having never heard the music before. Abbey Road. Go listen to it right now, it is delicious in every way. Van Halen I and Van Halen II, Still Bill by Bill Withers, and The Pointer Sisters and Kid Creole and the Coconuts' 80s records. Dave Ullrich is like a brother I never get to see, he's the reason we are all getting together for this festival, and I am mostly looking forward to seeing another one of his brilliant, crazy, beautiful dreams become reality. We started performing together in high school back in 2005. We had both entered a talent show that year to perform as solo acts, but it was our father who gave us the idea to collaborate. We performed talent shows and small town open mics until we assembled a band, put out an album and toured as a rock band for a bit. It was fun, but after our first trip to Nashville, we decided our music and our songwriting fit better in the country circuit. After making the switch to Country, while keeping our rock, blues and folk roots, our songwriting flourished. Instant Rivalry won the 2015 Next Country Music Star Talent Search, 2016 Ontario Back Roads Country Talent Search, and are finally gearing up to finish our debut Country Album. We are proud of every moment in our careers, even the lows as they have helped form the musicians we are today. Songwriting is half of our love of music. The other half is performing. When we write, we take a concept and try to make it as real as possible. Like telling a story. This helps your audience relate to the song and create a personal attachment with it. Whether that be with a laugh, heartache or love, the story needs to ring true. We collect our songwriting ideas from personal experience, and the experiences of friends, family and sometimes even strangers. When producing a song you have written it is important to make every lyric line count and make the music catchy, unique and work with the concept of the song. Thus far, we have been the only writers behind our music. However, our suggestion to struggling artists who want to be songwriters would be to consider co-writing with a musician or friend that you trust or admire. Soak in as much about the process as you can and then start to craft your own style. Right now we are listening to a strange mix of albums and of course the radio to help us connect with what directions the business is moving towards. We enjoy listening to Chris Stapleton's Traveller album, Cam's Untamed album, The Brother's Osbourne, The Road Hammers and lots of local musicians albums just because they are fantastic. 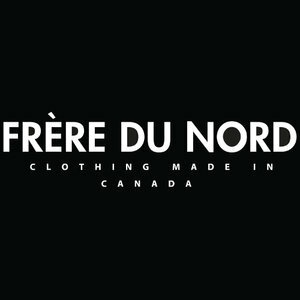 We have deep roots in Prince Edward County. It is our hometown. We have relied on our community for the past decade to be our first sets of ears for our new music, as voters for contests, attendees to our shows and much more. We are really looking forward to County Pop 2016 to become a long lasting Music Festival that supports the deep pool of local musicians. Growing up, we would have loved a festival like this that ties local musicians to songwriting/performing super stars like Ron Sexsmith. We'd be lying if we didn't say that we are most looking forward to meeting him OF COURSE. We have had the honour of sharing the stage with Jefferson Starship, Tanya Tucker, Corb Lund, Clint Black and more, but Ron has always been a huge songwriting idol of ours. He has that Dillon realness mixed with something much more. Needless to say, we are pretty darn excited. "Why: Music kept me engaged in the creative potential of the future, and helped me to build and maintain a community of friends. This probably saved my life! When: Apart from a few basic lessons on piano, my first instrument was violin (which I began playing around the age of eight or nine). A few years later, whilst living in Mexico, local mariachi bands ensnared my imagination, and I bought a steel-stringed Spanish guitar for a few pesos in a local shop, thus ending my career as a concert violinist. Grade nine saw the advent of my first rock and roll band (The Short Circuits). Within a year I had morphed into a long-haired kid playing acid rock and touring Canada in a psychedelic-painted Cadillac. Blues rock devolved into jazz-rock fusion, then alt-country rock, and a fascination with pedal steel guitar and banjo. Milestones: I've found that it's often the small things which turn out to be pivotal, especially those things which involve taking chances. A few notable events: Participating in the "Save the Rails" with Pat Temple and the High Lonesome Players (a group of about 50 musicians traveled by train to Northern Ontario to raise awareness about Via rail cuts on the Ontario Northland). Learning the ins and outs of recording technology was an important decision which led to working with bands (Rheostatics) and facilitated collaborating with other songwriters. "Songwriting isn’t necessarily a process for me because I tend to have music going through my mind regularly. So its nothing for me to pick up my banjo and just begin playing… I just have to make sure I have a recording device handy so it doesn’t get lost. Some tunes come very, very quick and easily and others start with a small riff or motif and can take a while before they expand and stand alone.